Are you Afraid to Start? Maybe it was a gym membership that never got used, maybe home-workout equipment and videos that hardly got used, books that never got read, or maybe you were like me and invested in starting a business and then froze when it came time to do something with it. I’ve been there myself. I’ll share a secret with you, something I haven’t really shared with many people. 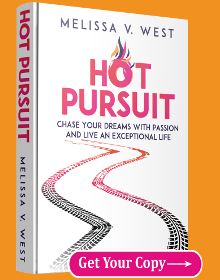 When I found my passion and purpose, I was so excited about it. I finally felt ALIVE and energized and it was so refreshing! I was ready to go out there and share my passion and purpose with the world. The first step I took was to sign up for a program to become a licensed and certified success coach and consultant. The program I chose to enroll in was pretty pricey, it was $16,000 and I actually had to take out a loan to cover the cost. Now here’s the secret… as excited as I was, and as ready as I thought I was, when the program material started arriving at my house, I just stock piled the boxes in a corner in my living room and I didn’t touch them for over 4 months! That’s right, they sat there collecting dust for 4 months before I even touched them. Why? Because the fear of actually getting starting brought up a bunch of doubtful stories for me. What would people think of me if I left my day job to do this? What if I failed in my new business? What if nobody wanted to hear what I had to say? What if nobody was drawn to my message? Is this really the right decision for me? What would my friends and family think? Eeeek! Yes, that was my self-talk that I played over and over in my head. It paralyzed me. I had a lot of self-doubt, judgment, and a ton of self-created drama because of it, which left me frozen in my tracks. Have you ever felt that way when you made the decision to invest in something new? There is a part of us that whole heartedly wants to run full force and then there’s the other part of us that is drowning in fear, doubt, and confusion, which just leads to a bunch of excuses for not doing anything. You see, I couldn’t break free from the stories that told me owning a business was too risky, that I was crazy to leave my day job, that nobody would want to work with me, and that I wasn’t going to be successful at it. On the surface I kept saying “later” or “tomorrow” but on the inside I was resisting it because I didn’t feel secure or believe in myself. Have you ever been afraid? Have you let a self-created story based in fear control you to a point of paralyzing you from acting on your dreams? What if that fear-filled story was robbing you of living your dream? But what if, …what if that fear-filled story was just trying to protect you from the unknown; that story was actually trying to help you and keep you from danger? You see, fear isn’t necessarily a bad thing if we understand it differently. 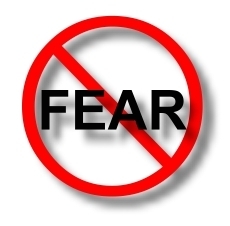 Fear is just a way for our mind to keep us from being vulnerable and potentially getting hurt. We could look at fear as an over protective parent. All they want is to keep their child safe. Little does the over protective parent realize, that they are actually hurting their child and holding them back from expressing who they really are and living their dreams. 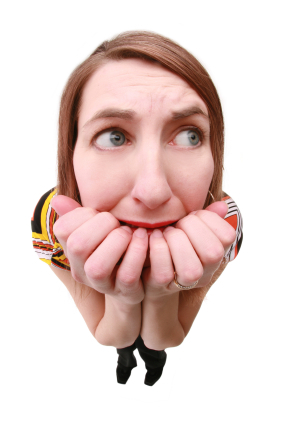 Many use the following acronym for fear: False Expectations Appearing Real. Know that your fears are just the result of telling yourself stories of limited expectation. You’re expecting limited results. Of course you’re going to be filled with fear if you keep telling yourself how risky and scary something is and how it’s not going to work out! You must create a new expectation! With a better understanding of our fears, we don’t have to be afraid of them, but rather we can recognize them for what they are and we can begin to change the story. I don’t have to wait until my fear is gone before I can go do something. This fear is just a story I made up. It’s my current limited thinking that has me scared. Change the story! It’s my current limited thinking that has me making excuses. Change the story! I can still take action even with the fear! Do it afraid! The fear doesn’t need to stop me! … The fear won’t stop me! 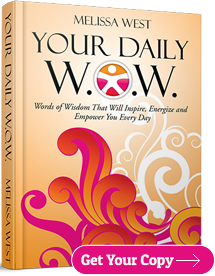 That’s my new story around fear and rather than paralyze me, it empowers me! What’s your new story around fear? Your fears don’t always show up in scary stories, either. They usually will show up in your excuses! Go to your excuses to find your fear. They are hiding in disguise. Take a few minutes right now to write out your new story around fear. Fear doesn’t have to be paralyzing if you don’t want it to be. I have been on this journey of focusing on living my dreams and fulfilling my purpose and vision for some time now. Even though I still have to process through my fears like the rest of us, my new story around fear has made all the difference in me facing those pesky little fears and taking action anyways. You too can break through any and all barriers that come your way by recognizing your excuses, understanding your fear for what it really is, and telling yourself a new story; one that serves you and your highest and greatest good! Thank you for letting me share this article with you. It’s my mission to serve people just like you. Let me widen your self-awareness of your true potential and so you can break through the barriers that are holding you back from living your dreams.